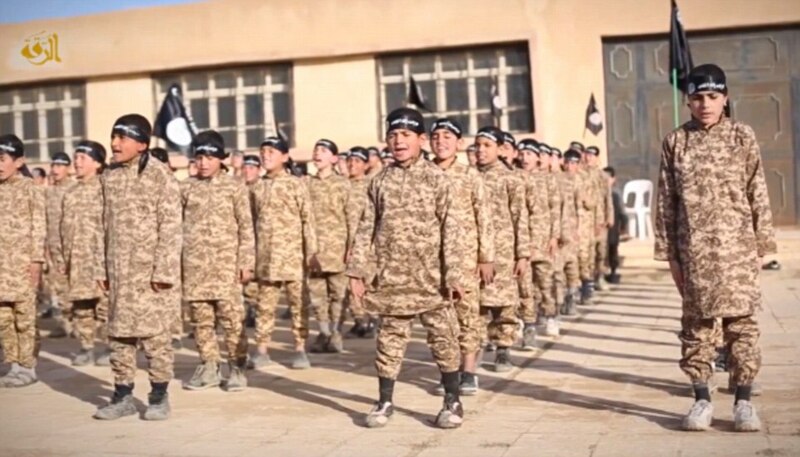 JNN 24 Mar 2015 Damascus : Islamic State has recruited at least 400 children in Syria in the past three months and given these so-called “Cubs of the Caliphate” military training and hardline indoctrination, a monitoring group said on Tuesday. “They use children because it is easy to brainwash them. They can build these children into what they want, they stop them from going to school and send them to IS schools instead,” said Rami Abdulrahman, head of the British-based Observatory. It has beheaded or shot dead Syrian civilians, combatants, foreign aid workers and journalists and has released videos appearing to show children witnessing or participating in some of the killings. The group persecutes people across sects and ethnicities who do not adhere to its ultra-hardline Wahabi doctrine. Islamic State has encouraged parents to send children to training camps or has recruited them without their parents’ consent, often luring them with money, said the Observatory, which tracks the conflict using sources on the ground. This entry was posted in Iraq News, Middle East and tagged children, Iraq, ISIS, Recruits, Syria, Young. Bookmark the permalink.